Corporations worldwide are using their cash stockpiles to make acquisitions and are driving M&A; activity to a higher level that confirms the bullish trend that began in 2010, analysts say. 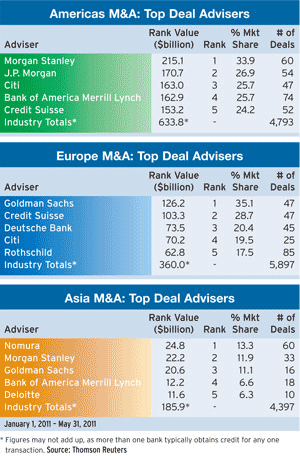 The momentum of increasing deal volumes is expected to continue in the months ahead. 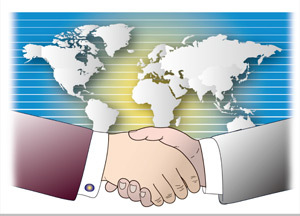 In the US market in the first five months of 2011, the total value of M&A; transactions rose 39% from the same period a year earlier to $454 billion, according to PwC, formerly PricewaterhouseCoopers. Meanwhile, an increasingly competitive environment for deals and improved business confidence among buyers contributed to a 45% increase in average deal size in the same period. “An increase in total deal value in the past 12 months, ending in May 2011, indicates a sustained M&A; cycle, and as confidence continues to build, markets stabilize and businesses look toward growth, we expect the acceleration of the M&A; market to continue into the second half,” says Martyn Curragh, US transaction services leader with PwC. to Connecticut-based Factset Research System. According to PwC, corporations are continuing to use their strong cash positions and stock prices as currency to make acquisitions. Corporations have been the key players in larger deals, as they have sought to increase economies of scale. There were 73 deals in the US valued at more than $1 billion each in the first five months of 2011, totaling $331 billion, or 73% of total deal value, according to PwC. In the same period a year earlier, there were 60 such deals totaling $225 billion. “As confidence returns and banks’ appetite for lending around bigger deals begins to tick up, we expect deal size will continue to increase over the next 12 months,” Curragh says. The number of outbound deals is increasing due to high growth expectations in emerging markets, he says. There were 349 outbound deals in the US in the January-May period of this year, totaling $84 billion, compared with 334 deals in the same period a year earlier, totaling $46 billion. “We are seeing companies get more aggressive in pursuing outbound transactions, and there is a potential for these deals to get larger in value,” Curragh says. Meanwhile, companies based in Japan are taking advantage of the strong yen, as well as cash stockpiles, to acquire companies overseas. 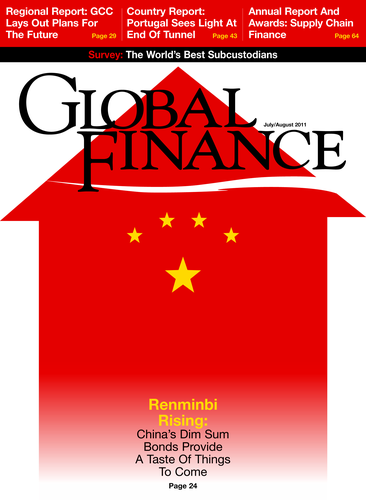 The global expansion of Japanese companies has accelerated since the March 11 earthquake, one of the largest ever recorded, which heightened concerns about diversification of supply chains. Takeda Pharmaceutical agreed on May 19 to acquire Switzerland-based Nycomed International Management in a deal valued at $13.7 billion. The transaction is the second largest foreign acquisition by a Japanese company ever, according to Dealogic. The biggest was Japan Tobacco’s purchase of UK-based Gallaher Group for $14.7 billion in 2006. Takeda, which will dip into its cash reserves to fund the Nycomed purchase, is seeking to expand in China and other emerging markets, where Nycomed has a stronger market presence. Takeda is also seeking to boost its drug pipeline and to recover some of the revenue lost as a result of the expiration of patents on its ulcer drug Prevacid. Tokyo-based Toshiba announced on May 19 that it has entered into a definitive agreement to acquire Landis+Gyr, a Zug, Switzerland–based provider of energy-management systems for utilities, for $2.3 billion. Toshiba says the acquisition will accelerate the development of its smart grid and smart community businesses. In April, Toshiba established an in-house company, Social Infrastructure Systems, to integrate and control a wide range of infrastructure services, from information technology to energy, water and transportation. In Europe, Volkswagen launched a $16.5 billion mandatory tender offer in May to acquire heavy-truck manufacturer MAN, driving closer toward its goal of creating Europe’s largest truckmaker. Wolfsburg, Germany–based VW, which has a war chest of more than $28 billion, wants to combine MAN with its own commercial-vehicle unit in an alliance with Sweden-based Scania. The resulting truckmaker would have a combined purchasing power that could save hundreds of millions of dollars in annual costs, according to VW, which owns more than two-thirds of the voting rights in Scania, while MAN owns another 17.4%. As the recovery and growth rate in emerging markets outpaces the developed world, there is no shortage of investor interest in these markets, according to Ernst & Young. In China, for example, deal value in the first five months of this year totaled more than $43 billion, an increase of 38% from the same period of last year, while the number of deals increased by 18% to 1,050. The technology, energy, life sciences and healthcare sectors have shown a lot of activity so far this year, and acquisitions in these sectors will likely continue to be numerous in the second half of 2011, according to Ernst & Young. The value of healthcare deals in the US increased by 274% to $21.4 billion in the first five months of this year, although the number of deals was flat from a year earlier. Healthcare reform will continue to drive activity in 2011, as companies focus on improving quality and reducing costs, Ernst & Young says. In life sciences, companies are increasingly focusing on strategically managing their capital, which means that there could be more divestitures as they prune their business portfolios. 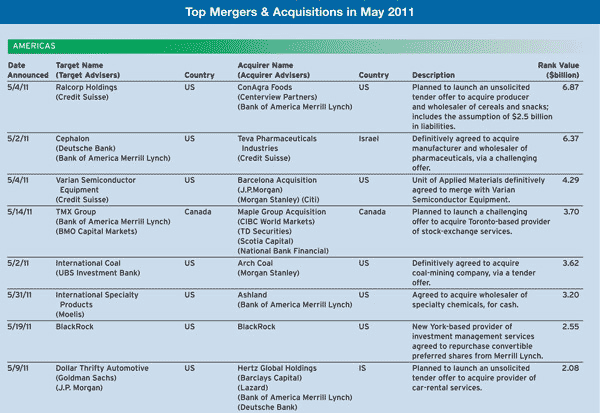 Mergers and acquisitions among US power and utility companies rose by 237% in the first five months of 2011 to $47 billion. Further consolidation of the industry is likely amid volatile electricity and natural gas prices, massive capital spending and quicker regulatory approvals, according to Ernst & Young.